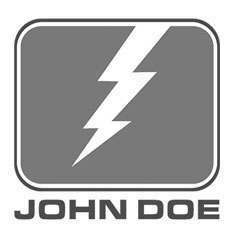 John Doe's Stroker Cargo Pants are based on the US Air Force flight suits but designed specifically for the modern-day motorcyclist. The outer layer consists of sturdy cotton and is fully backed up by John Doe's own XTM® Fibre liner, made out of abrasion resistant DuPont Kevlar® fibres and inner Coolmax® fibres for temperature regulation on the hotter days. There are pockets for optional knee and hip armour and the knee armour pocket is adjustable in height for a perfect fit. The denim has a Teflon® coating to make it water repellent. The Stroker of course has external side pockets and even one added zipped pocket. That's a whole lot of functionality for a stylish looking pair of trousers at an attractive price! Sizing for the John Doe Stroker Cargo Trousers as verified by the Urban Rider team. Take your favourite trousers, lay them flat and compare them to our measurements of the John Doe Stroker Cargo Trousers below.